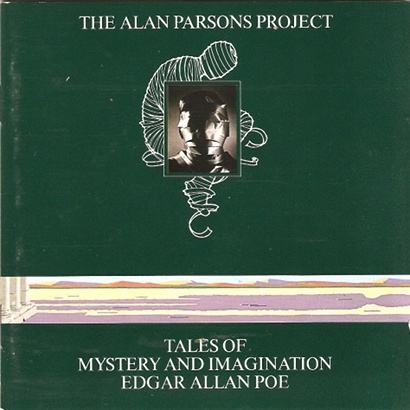 A friend of mine, Robbert Bettleheim, introduced me to Alan Parsons Project by lending me 'Tales of Mystery and Imagination' on cassette. My initial impression from the first listen was not good, it was dark brooding music that seemed initially quite dreary. Fortunately I gave the album a second listen because he was so enthusiastic and I am very glad I did. Once you settle in, actually listen to the lyrics and understand what it is they are referencing then the genius of the work begins to shine through. Later albums became more instantly approachable with the tone shifting towards pop friendly arrangments but it was always the slightly more conceptually pure works that remain the strongest and best works the group produced. Originally an untitled group the work was simply the result of Eric Woolfson and Alan Parsons collaborating to produce an album. They had the concept that, akin to the movie industry where the director alone can be the draw to make people interested, perhaps the music industry could be the same where rather than the artists playing the instruments and singing being the name to follow but rather the producers of the album could be. While the project as a whole worked and there is some public appreciation of various producers I don't think it has reached anywhere near the level that the movie industry enjoys. Because the record label insisted there had to be a group associated with the album to sell and market it the name 'Alan Parsons Project' was born. It always was a little odd as exactly who sang and played the various instruments changed not merely album to album but often track to track. The one central point of continuity was Eric Woolfson (usually lyrics and arrangements but singing occasionally), Alan Parsons engineering/arranging and Andrew Powell often doing compositional work. What this gave them was the ability to cherry pick people they felt would be perfect for each role, avoiding the problem many bands have of having to tailor everything they do to suit the vocal range of their lead singer. Even so there were very regular return artists whose work turns up on many of the project albums. Speaking of which each album had an underlying concept to it that thematicly tied it together. Perhaps the master touch that lift them from merely being concept albums to being something special is the slightly surreal and deliberately slightly ambiguous lyrics that Eric crafted. Each remains clear but has enough semantic wiggle room that the listener can interpret them in usually a deeply personal way. It is something that later post-project albums released by Alan Parsons lack while still having the signature musical style. It is something of a shame with Eric Woolfson dieing late 2009 because the faint hopes I had for one more collaboration between him and Alan are now dashed. Of course that is just me being a little greedy - we have ten varied and usually amazing albums to listen to. They all share a signature sound combining instrumental work with spare use of early synthesiser and usually strong vocal work. Some complain about their sound being mired in the 1980s, which seems an odd complaint given that is when they were produced. Partially I suspect this is a mixture of both the early synthesisers, which are very distinctive in tone and sound, but also the style with the emphasis being on clarity of sound in making sure that each instrument & singer can be clearly heard. Early nineties saw a shift towards more grungey, less clean sound with trends like grunge and wall of sound. Perhaps this is just me becoming an old codger but I do think the pendulum has swung a little too far in sound expression to the detriment of lyrics. Who knew Nirvana's 'Smells Like a Teen Spirit' had such clever lyrics till the vocal covers (in particular Tori Amos' cover) came out? 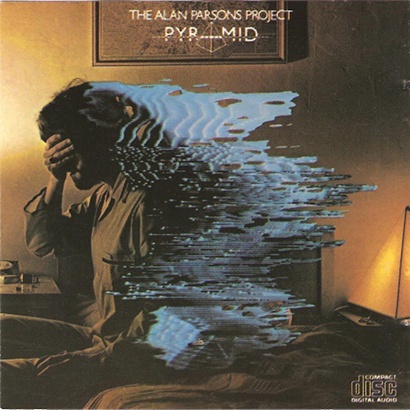 Alan Parsons Project was always about showcasing the cleverness of the lyrics and the talents of both the singer & players through clarity of recording and engineering process. 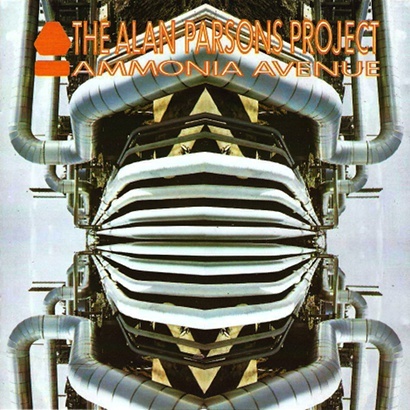 Alan Parsons Project Online. 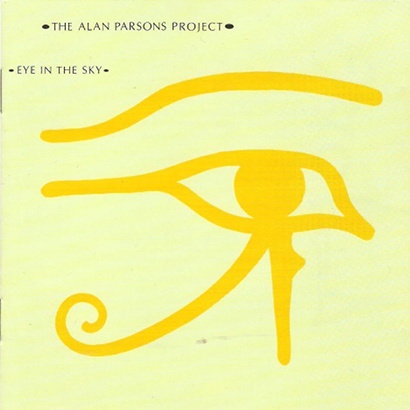 The official page for the Alan Parsons Project. Coming late to the group my first exposure to this album was the 1987 reworked version done for CD release. This worked in the vocal dialogue from Orson Wells which was recorded for the original album but came just late enough it couldn't be used for the initial record. So for me the opening narration has always been the clear tones of Orson reading a fragment from Edgar Alan Poes work. Indeed the whole album is a loving interpretation of several famous Poe stories, something Eric Woolfson was deeply interested in and his lyrics often came back to this source which 'Poe-isms' appearing in Stereotomy and of course his return to the life of Poe with the Freudiana release. Tales is less about Poe and more about evoking the mood his stories held, that of creeping dread and unease. 'A Dream within a Dream' quickly seques into 'The Raven' which combines a strong growing rhythm with increasingly unhinged singing as the titular raven makes its presence felt. The madness continues full blown with a strong rock line in 'TYhe Tell Tale Heart' as the singer portrays the tale teller succumbing to his guilt at murdering his landlord by hearing the continuing beat of the dead mans heart as it grows steadily louder. We then shift downtempo to a gentler song about walling Fortunado in alive to die slowly and alone. There is a counter point singer who represents Fortunado desperately pleading for his life as he watches the bricks be slowly put in place and is unable to stop it. 'The System of Doctor Tarr and Professor Fether' is back to full speed as it evokes the feel of a lunatic asylum as Doctor Tarr and Professor Fether expound their philosophy on life. I must admit I have never read the story this track is based on but it is one of the catchier tracks on the album juxtiposing an upbeat rhythm with the madness they are expounding. We then go fully instrumental for the Fall of the House of Usher which delineates in music alone the approach of the weary travellers to the house, the rising storm and then the destruction of house itself. Finally we shift down tempo again and drift out to the gentle lyrics of 'To One in Paradise' which is the only track that talks more about Poe than any of his stories. As can be seen from the verbosity above this an album I deeply love. The clear vocals singing the wonderfully structured and slightly ambiguous lyrics that Eric Woolfson brought combined with excellent production and enginerring so you hear the instrumental work just as clearly make this a special album for me. So much so that I was happy to buy the Deluxe remastered version released in 2007. The bonus material, including interviews with Alan and Eric from the time the album was first released make for interesting listening and the work itself has subtle touches in it that can now be clearly heard. 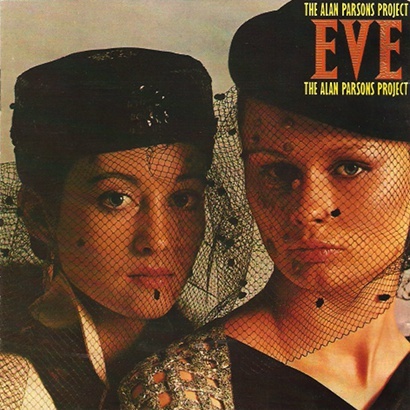 In many ways this remains the strongest album the Alan Parsons Project put out. Originally directly dedicated to the works of Isaac Asimov and his collection of "I, Robot" stories for various legal rights complications it had to be slightly changed and some of the lyrics reworked slighty. It still clearly is about the rise of robots and the tracks change in perspective sometimes being from the humans point of view (which I would argue is what 'I Wouldn't Want to Be Like You' is but it can equally easily be from the robot). 'I Robot' opens as an instrumental with a robot chorus of voices building to a crescendo. It drops into the jazzy 'I Wouldn't Want to Be Like You' in which the humans look down on the jobs the robots carry out. 'Some Other Time', 'Don't Let It Show', 'Breakdown' and 'The Voice' all are strong vocal performances that illustrate aspects of the robots pyschology often with heavy overtones of their resentment about being observed and controlled. 'Don't Let It Show' is particularly interesting in the many ways it can be taken - it could be the robots hiding their growing despair at their condition, the makers of the robots persevering with in the face of stiff criticism or it could be the apathy of the population at large as they find the ubiquity of robots a dehumanising influence. Finally we close out with a couple of instrumentals including the slightly ominiously named 'Genesis Ch.1 v.32'. With the book of genesis in the bible only having 31 verses the presence of the thirty second stronly implies that the robots are the next step in the process of creation and perhaps are to supplant us. What is perhaps the cleverest touch is the sense of space and progression the music itself maintains while having some of the most paranoid and instrospective lyrics. There is an undercurrent of relentless momentum driving through and almost giving the album the feel of a tragedy as various early songs warn of what might come even as things rush towards it. What frustrated me a lot is the early cassette release never came with any lyrics so to properly study the work you had to spend a little time writing them down as often the very sense of progression inherent to the music made contemplation a little tricky - IE you were too busy enjoying the music to really appreciate the subtleties in the lyrics. Pyramid is a meditation nominally on the mania people have with pyramids and in particular the craze for pyramid power which was ascribed to being the cure for all manor of wacky things. It is a little worrying to contemplate that a pyramid razor sharpener, done by storing the razors in a pyramid container to oestensibly keep the edge permanently sharp, was sold seriously at one time. The album strays to encompass the themes the egyptian pyramids represent namely death and a testament to the life lived. 'Shadow of a Lonely Man' evokes this directly being a simple ballad mourning the approach of the end of life and how that has changed the singers perspective. 'Can't Take It With You' is kinda  the boatman's lament as he explains to the recently deceased that they can't take anything with them, whatever they had in life is done with now. 'What Goes Up...' asks the question about why strive to build something amazing like a pyramid at all when after all what goes up, must come down. This is a slightly melancholic album in tone but it has its upbeat moments. 'Pyramania' is very happy poking a large stick at the silliness that is pyramid power and that is advocating it is capable of. 'Hyper Gamma Spaces' is just a solid grooving jazz piece. While this album doesn't have quite the iconic tracks on it that became popular hits (like 'Time' from the 'The Turn of a Friendly Card' album) it does have a lot of beautiful wistful compositions. Eve is almost the black sheep of the project lineup, it often gets ignored because of the more sexual politic tone of the songs on it. In many ways that is a shame as this marks the first Project album to feature female lead singers. The focus is on the relationships between men and women and it is definitely tinged from a male perspective. What often gets forgotten in criticism of the album is that the focus is on the more manipulative relationship tactics and does condemn them but balances that with songs about the more positive aspects like 'Don't Hold Back' which is very much a ballad about reaching your potential by making your own sensible choices in life and is arguably from the female perspective. 'If I Could Change Your Mind' is a wistful lament for a past relationship and the hope that maybe oneday it could be tried again. Much as these tracks are beautiful the more catchy pop oriented ones are what I suspect gets the album in trouble. Namely 'You Lie Down with Dogs' which is very much about a casual relationship that neither party is entirely happy with and the big daddy troublemaker - 'I'd Rather Be A Man'. The title alone is asking for trouble combined with lyrics that strongly condemn the social falsities that women often engage in and you can understand how the album coped some flak on release. It is almost a twist of the knife because it easily is the catchiest track on the whole album that you have to be careful when humming along to it. Especially if you happen to not so much humm but sing the lyrics. Still this is a strong album that features some excellent singers. 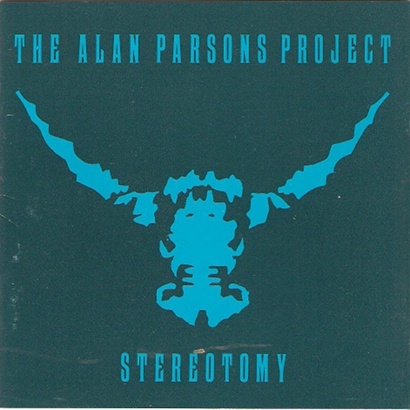 The use of female voices in Alan Parsons work would not be revisited till the Freudiana project and later solo albums. Being firmly about gambling this album loosely tells the story of someone gambling everything they have, enjoying the thrill of it and of course losing the lot. From this album two iconic tracks come, 'Time' and 'Games People Play', which were widely picked up and used. One of the ironies is that 'Time' is one of the few Project songs in which both Alan and Eric sing, Eric providing the lead vocals. It seems somewhat fitting that it then went on to become pretty much the projects most recognisable track. Overall this is strong album with each track flowing pretty smoothly in tone with each other and being about gambling is has a very active upbeat vibe to it - which of course contrasts with the somewhat downbeat story it is telling. The other point to note, something lost on me I must admit till I read an interview with Eric Woolfson, was that in 'Snake Eyes' the dice combination the gambler is betting on is impossible to acheive. He has already lost and he just doesn't know it with the song very much about him wanting just one more throw after this. After the Alan Parsons Project split large chunks of the story in this album was reworked and became 'The Gambler' musical that Eric produced. 'Gemini' then goes left field into a gentle musing on having a twin through surveilance with the main refrain being 'Watching, waiting, rising, falling'. 'Silence and I' seems to be about the mindset of those watching and keep secrets. 'You're Gonna Get Your Fingers Burned' then becomes a poppy refrain warning people not to believe all they are told. Where the lyrics hit their height has to be 'Pyschobabble' which has all these surreal allusions but it feels more like a sneaky reference to Freud than it does a direct commentary on surveilance culture. 'Step by step' similarly is a tenuous reference to the theme and with its gambling allusions looks to be more a song unused from 'The Turn of a Friendly Card'. Finally 'Old and Wise' is a gentle refrain exhorting people to remember that the singer was a friend and would like to be remembered after they have gone. Again this feels thematicly more appropriate for the 'Pyramid' album but it already has 'The Shadow of a Lonely Man' which is a very similar track. While the theme does break down a little it makes up for this simply by the strength of the tracks themselves. Several are individual favourites even as I think 'Tales of Mystery and Imagination' is the best album the group made. Perhaps the smoothest and most mellow of all the Projects albums Ammonia Avenue is the one you put on when you just need to unwind. It is a gentle groove that gets a little more lively in the middle before then mellowing out again to finish. Nominally this album is about the interface between industrial scientific work and the public, in particular how the two sides don't really comprehend the other well. To be honest while you can made the link the tracks themselves are so open to interpretation that I highly doubt anyone listening to them cold would ever connect most of them to the putative theme. But what you do get is a very approachable album. Who can't relate to the singers desire to go home after a hard days work in 'Let Me Go Home'? Or the anxious soul who is hoping that the stars have aligned right to let the spotlight fall on them in 'Primetime'? Pretty much anyone who has had a fraught interpersonal relationship will get meaning from 'Don't Answer Me', 'You Don't Believe' and 'One Good Reason'. All in all anytime I want mellow to upbeat this is the album I pull out (well this and Moodfood by the Moodswings). Vulture Culture comes with a picture of Ouroboros on the cover and is about the inherently self destructive nature of the every man for himself ethos currently in vogue in Western culture. 'Let's Talk About Me' highlights the highly ego-centric focus, 'Vulture Culture' talks to the competitive nature emphasised without much empathy and 'Somebody Out There' is about the paranoia of living in a way you don't really want to effectively making you always worried that someone is going to out do being you. Many reviews of the album criticise it for being weaker in theme yet, to my ear, this follows the theme better than 'Eye in the Sky' and 'Ammonia Avenue' do. Stereotomy sees a quiet nod back to Edgar Alan Poe in both the title but also in the words spoken during 'Chinese Whispers' which hark back to the Murders at the Rue Morgue. 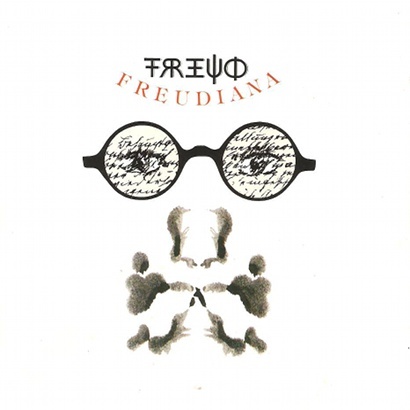 The fact that these little slips pop in from album to album shows that Eric obviously had a long and abiding interest in Poe - that and Sigmund Freud. Thematicly the album is about fame and its price. 'Beaujolais' is perhaps one of the more fun refrains to drinking heavily as the singer tries to cope with the duality that a public life with little privacy brings. 'Limelight' talks to the desire to be famous and in the Limelight where you are well known. 'In the Real World' is intended to be about the retreat from reality into their insulated world that the famous often manage but equally well could be about someone finding failure feel unreality preferrable to the consequence ridden real world. 'Light of the World', despite the title, is not a reference to Christian Mythos but more to the ways in which the demands of the fans pull the famous in unpredictable ways. But the surprise highlight of the album is the very funky 'Where's the Walrus?' which moves along to strong rhythm and synth sweeps while the electric guitars play counter point. It is a real zinger of a track. 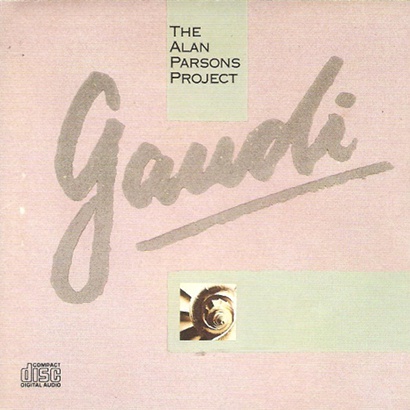 The final official project album Gaudi is a tribute to the life and times of Antonio Gaudi - the Spanish architect perhaps best known for the building the first track is named after. It loosely chronicles his rise, ambitions and ultimate frustrations as he can't quite achieve his vision. 'La Sagrada Familia' is a very strident almost bombastic track and I have fond memories of travelling along the motorway with a friend as we listened to this track - it is good driving music. Spanish touches infuse the music and the album with castanets and flamenco guitar making it onto the instrument list. Because it is intended for a theatrical production the music also tends to a little more bombast than usual too. 'No One Can Love You Better Than Me' falls into this with the three voices sharing time and underscored by a big drum based musical score. We also get plenty of horns popping in from time to time too which is not a typically used project instrument. So it is quite an unusual album while still being very recognisably an Alan Parsons Project work. Strictly speaking it is actually a servant of the boatman talking to a deceased soul and bringing them to the boat for ferrying. Several times the song makes the point that the singer is in the same position as person being sung to. Both Egyptian and Greek myth had the dead having to travel by boat to reach their final resting place and the journey was frequently tricky in that suitable riches had to be provided with the dead to make the journey safely possible. In the Pharoh's case often the boat was part of the funeral tributes buried with them. Just as an aside it was the presence of these instrumental tracks on many Project albums and the wide range of styles that I credit to help foster my interest in more ambient music. Several of the instrumentals were such layered and intricate pieces of work that used non-standard beat or chord structures that made listening to the music itself a very rewarding experience and involved me in a way that most instrumental pieces don't. This meant I started paying more attention and while it isn't the only influence, Jean Michelle Jarre has a heavy hand here too, it was a big part.